K.R.K Govt. Degree College initially offered courses in arts stream at UG level later science and restructural courses and 2 P.G Courses were added. 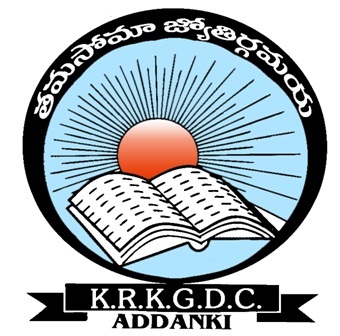 Today, K.R.K has 7 UG Courses and 2 P.G Courses where served by 13 flourishing departments. Each department has highly qualified and competent faculty. The faculty engages in constant improvisation in pedagogical practices and teaching methodologies to optimize curriculum delivery and maintain a consistently high standard of education. Interactive teaching approach is used to ensure that every student participates in class discussions. Seminars, workshops and other co-curricular activities are organized throughout the year. THe use of ICT techniques and e-learning by students is encouraged.